Due to hectic lifestyle, many of us tend to spend lesser time to exercise, but more time on television or computer/laptop. Recently, I was introduced to Panaz Slimming Pants aka fitness shortcut. The name Panaz is originated from local language (Malay) "PANAS" that indicates HOT! 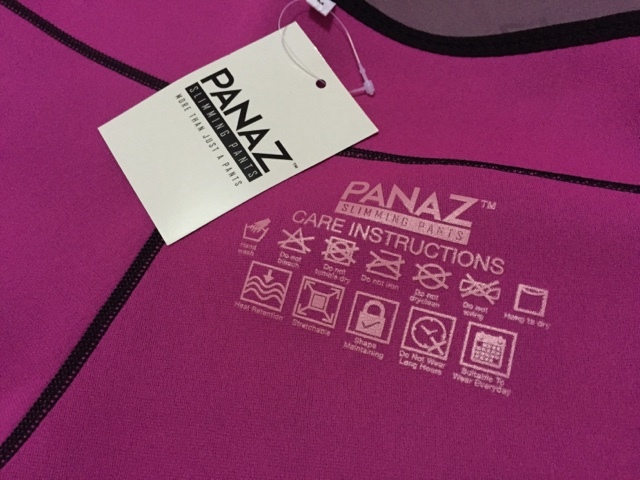 What exactly is Panaz? 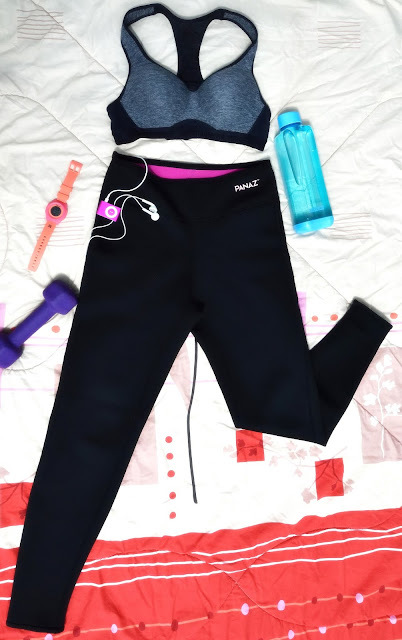 Well, Panaz is a slimming pants designed to help you sweat more and burn more calories while doing daily activities such as walking around, exercise or watching TV etc. It is super stretchable and the fabrics/material of the pant are thinner engineered compared to other brands, thus it is much more comfortable to wear under our hot weather. Panaz Slimming Pants are professionally tailored and it comes with a pocket design where I could fit in my Ipod or mobile phone comfortably. The fabric feels light and comfortable, allows my skin to breathe with ease and absorb sweat easily. I've worn the pant for jogging/hiking and produced a staggering amount of sweat. I am wearing size 'M' and the long pant fit me nicely, not clingy and sleek enough to wear as legging too. With Panaz Slimming Pants, I can get a good sweat even while performing daily activities. Burn calories even if you are sedentary, how cool is that? Wearing it while sleeping. Won't you get all sweating when you wake up and get change? Although I have heard of these pants/tops, I haven't tried them out personally. At RM149, it is not bad at all. I'm getting fat nowadays. I should get this slimming pants to keep fit. looks good on you! already super slim, i have something similar so it really does work to sweat more. i never try this pants before ..wish to buy this and try to wear for my gym routine. Hi! Can i buy panaz?